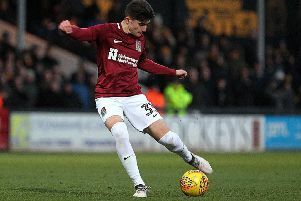 The Cobblers have announced they have frozen season ticket prices for the eighth season in a row. It means supporters will pay the same price for a season ticket for the 2019/20 campaign as they did in 2011/12. The club have also announced the early-bird option will run on most tickets until May 25, with the price for an adult season ticket in the Sheinman Opticians Stand (north stand) being £249, which works out at a little more than £10 per game. Tickets are on sale now, with existing season-ticket holders having until June 30 to renew for the new campaign, which will start on Saturday, August 3. A club statement read: “Northampton Town season tickets are now on sale for the 2019/20 season. “Prices have once again been frozen for next season, which means season tickets for 2019/20 are the same price they were in 2011/12. “Existing season ticket holders will have until June 30 to renew their seats for next season, after which time they will be released for next season. “A Northampton Town season ticket entitles you to: Your seat guaranteed for all home league games. “The opportunity to purchase your seat for all home cup games - remember the scramble for Manchester United EFL Cup tickets?! “Matchday ticket concession prices start for over 65s, but over 60s can claim a concession season ticket. “You have access to away cup tickets over non season ticket holders and you can pay on instalments with Zebra Finance. Other benefits for season ticket holders include exclusive discounts to club events including the end of season dinner and golf day, 10 per cent off room hire at the PTS Academy Stadium for any event or occasion. Season ticket holders will also receive a free club membership.